The eye-catching Galaxy Kamado Rocket. 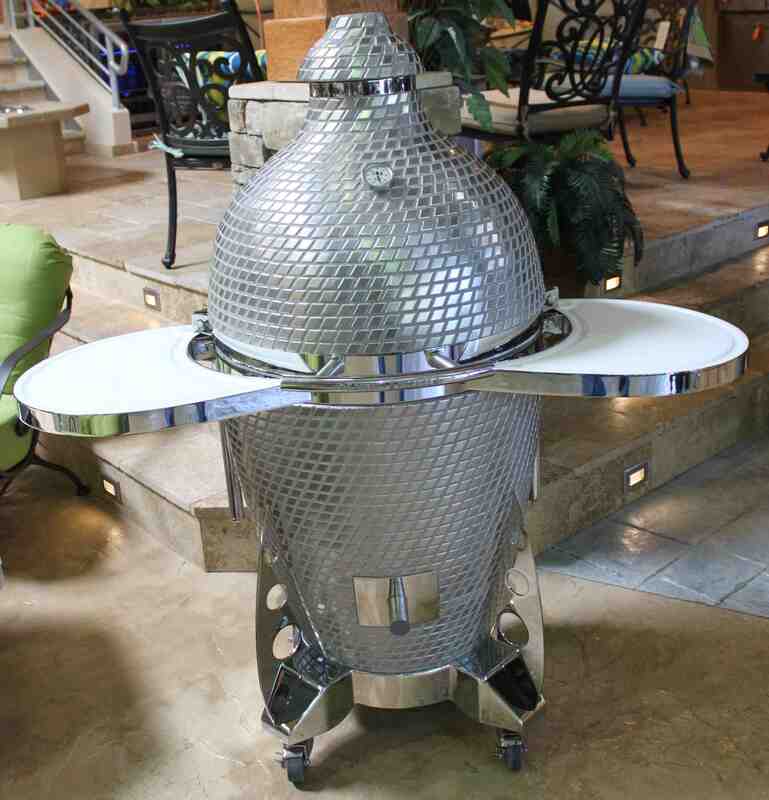 Company officials at Las Vegas-based Galaxy Outdoor call it the “Rocket Smoker,” but the actual name is the Galaxy Kamado Rocket, an advanced cooking system hand made in the United States. Along with a key Galaxy composite, the Kamado also features stainless steel and detailed tile finishes. The eye-catching engineering generates perfect, even, circulating heat. Galaxy Islands (middle photo) come in custom, finished, or unfinished, and deliver years of utility with the highest quality materials and superior design. A twelve-gauge galvanized steel permabase surface prevents weather wear; and galvanized welding/bolting (not screws) make for excellent construction. 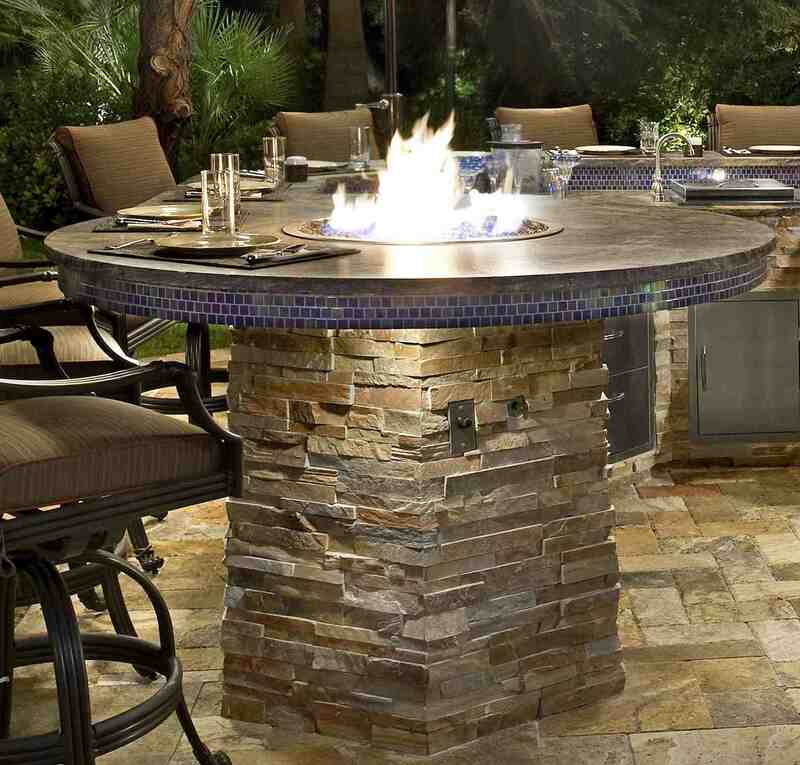 Galaxy Fire Tables and Firepits (bottom left) are all about comfort, and use the same materials as the company’s islands. 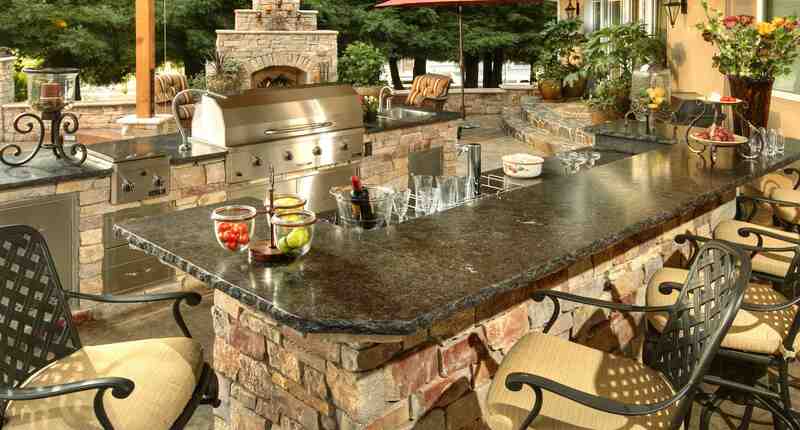 The units include 16-gauge 304 stainless steel for all key components, and are 100% built in the United States. Galaxy currently caters to independent dealers in 30 states, with the overwhelming majority of sales falling within the custom category. Dealers and prospective customers who visit the Las Vegas headquarters can peruse a 10,000-sq-ft showroom to get plenty of ideas.